Wood coasters are excellent eco gifts and wonderful home accessories that are functional and interesting. 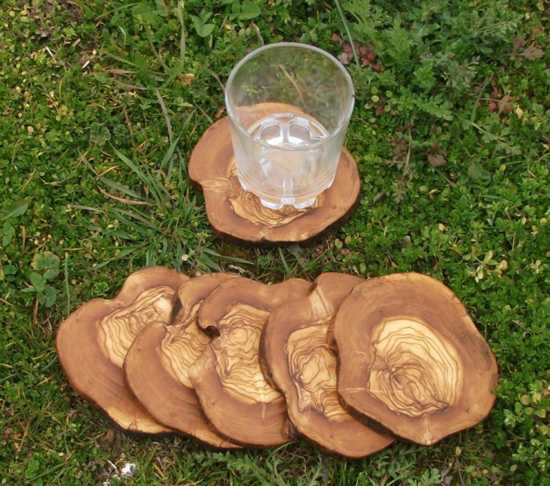 Handmade wood coasters, made of tree trunks or branches are cheap and beautiful, offering eco friendly products and creative designs for modern homes. 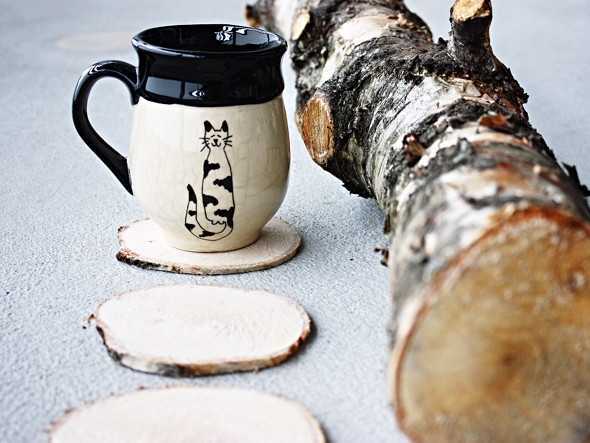 Saw off thin slices of birch wood and use them as coasters or decorate them with carving and simple drawings to customize your coaster design ideas. You can not find any cheaper home accessories and gifts that are attractive, practical and original like handmade wood coasters. 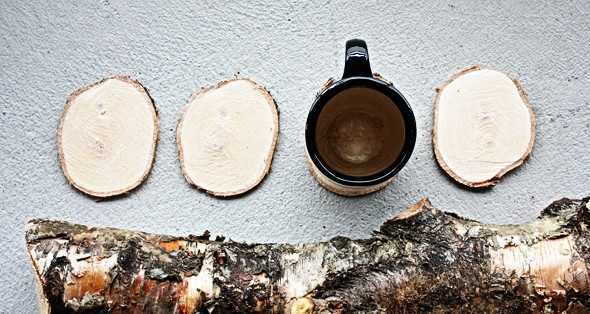 You only need birch wood, a saw and glue to make charming coasters for your home or gifts. 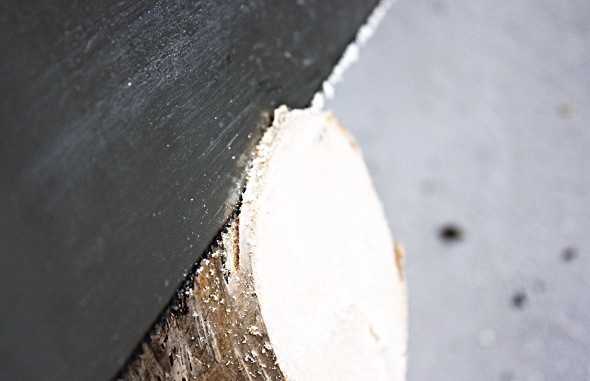 You can saw off thin slices of wood straight or diagonally, modifying your wood coaster design ideas. To make sure the coasters got straight it is better saw all around and then gently towards the center turning the branch every few seconds. 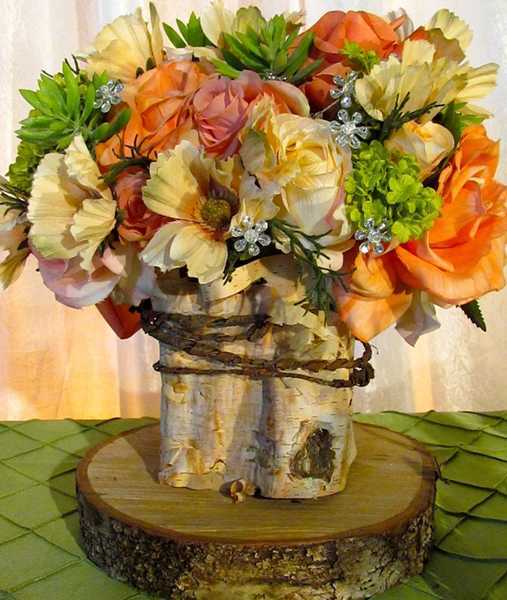 Thin slices of wood look great without any additional decoration. If you like to design thick wood coasters, consider adding creative carving ornaments and decoration patterns to your coaster design.